Just as we thought that Spring was creeping in, we had news of a large snow storm headed our way last week. This last stretch of winter is. killing. me. Ty and I sat down last week and synced our calendars for upcoming...everything. During the winter I'm begging for things to do. Then Spring comes along and the dates in the calendar start filling up. By July there are no blank spots. And that's how I like love it. February/March are always the hardest months for me. We usually take a vacation in late February or early March. This year we didn't take one until April because a couple things came up. (Maxwell's ears for one.) It made this winter drag on even more. I start to feel cooped up and miserable in every way. I mean, I appreciate the seasons, but the little sun truly impacts my mood and Ty swears that every February I go through a "Misery Phase" where I think we are in a rut and nothing seems to be in our favor. He may very well be right.... So I've learned that I just can't go through an entire winter here in upstate NY without a getaway or two. Therefore, we already have next winter's vacations planned. Yes, multiple! And for now, we try to make it through this last stretch. This winter has been brutal with the sickness in our house. Maxwell's first year in daycare contributed to it, I'm sure. Maxwell has had a ridiculous amount of ear infections (following in his sister's foot steps). He had surgery last Monday to have tubes put in and I am SO relieved that it's over. Scarlett had this done when she was 3 so I was familiar with the process but it didn't make it any less nerve racking. His took 20 minutes longer because his ears were so infected at the time of surgery. I had no idea. He seemed his normal self. The poor thing was probably used to feeling so miserable :( But alas, I see a light at the end of the tunnel! He already has shown such happiness since the procedure. This makes me elated. So we have set our sights on positive things to keep our spirits up. I am so excited for a couple spring trips we have planned. One of them, is for Scarlett's Birthday. We are going to see the wild horses on the beach. I have wanted to do this since I was a kid and of course, my little horse lover is all about this idea. So we booked a trip to Assateague Island. That will be one for the memory books because my dad is coming with us also! I've had to do some shopping for the kids. I pulled out the "Summer" totes from storage and NOT ONE THING fits Maxwell from last year! lol. And very little fits Scarlett. I have a post coming up for what I've bought them and how to save a little while doing so. I am dreaming of summer. We have a lot of long weekend trips planned and I cannot wait to make memories with the family. I made a TO DO list recently. It contains all of the things that I want to experience in the next 5-10 years. I am so thankful that we get to experience fun things. I'm thankful that Ty works so hard to let us have this luxury. This day in age, it is taken for granted to be able to enjoy...everything. I never take these moments for granted. 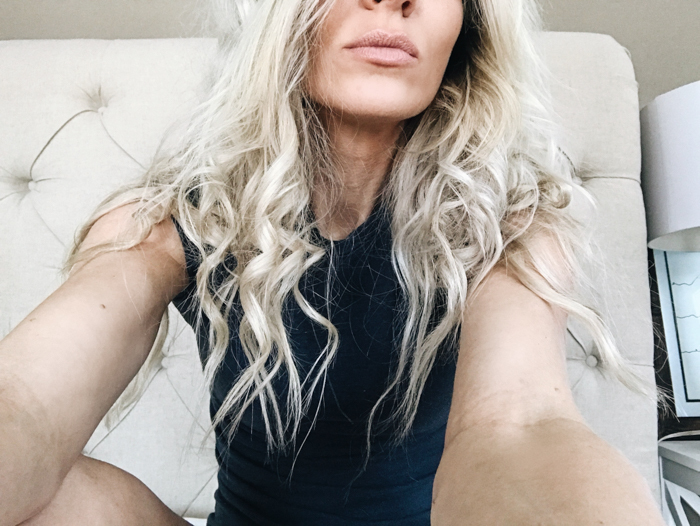 Anyhow, I have more posts to come: spring/summer clothes shopping, workout posts (yes they are still coming...again sickness delayed all of that too), life lately photos and more!! I am also hoping to get on a more consecutive schedule with blog posts. After all, I love that too.